Forced updates in Windows 10 have their appeal. For Microsoft, it helps keep the majority of its users on the same build of Windows 10, reducing legacy support issues. For users, it keeps your system up-to-date and reduces the chances of getting hit with malware that takes advantage of unpatched systems. But some folks resent the idea of having updates forced on them—especially when some of those updates cause problems or won’t install properly. If you’re running Windows 10 Home you’re at the mercy of Microsoft’s update schedule (though we have some tips for you at the end of this article). Windows 10 Pro and Enterprise users, however, have the opportunity to defer certain types of updates. Now, when I say that Pro and Enterprise users can do this, I really mean Pro users. Most enterprise PC update settings will be under the control of an IT department that's probably deferring updates anyway. But there are undoubtedly a lot of Pro users out there since Microsoft allowed people to upgrade to Windows 8 Pro (and later to Windows 10 Pro) from any version of Windows 7 and XP. 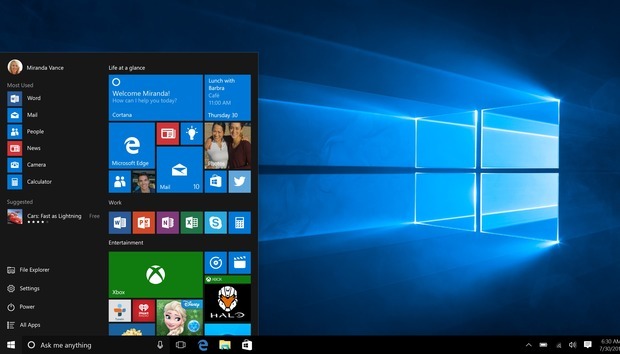 Deferring updates in Windows 10. First, click on Start and select the Settings cog icon on the left side of the Start menu to open the Settings app. Now go to Update & Security > Windows Update; under the “Update settings” sub-heading, select Advanced options. A new Advanced options screen will pop up. From here, click the Defer feature updates check box. Adjusting this setting puts you on a special update channel for Windows 10 known as the “Current branch for business.” This version of Windows 10 doesn’t receive feature upgrades as quickly as everyone else. Security updates, however, are delivered on the same schedule regardless of branch. Microsoft says that when you defer upgrades you won’t be forced to install feature updates (such as the upcoming Creators Update) for “several months.” It’s not exactly clear how long that is. It could be just two months or, as ZDNet’s Ed Bott reported in July, it could be around four months. It should be enough time to make sure all the major bugs are worked out on Windows 10 Home systems, however. Sorry Windows 10 Home users. You may not be able to defer upgrades, but there are a couple of tricks you can employ to make forced updates more tolerable. Check out our tutorial on how to schedule when Windows 10 updates are installed, as well as a trick to prevent upgrades from downloading automatically by setting your Wi-Fi as a metered connection. Looking beyond Big Data: Are we approaching the death of hypocrisy? Can UK retailers offset today's living wage hike with tech?